Republic of Ireland U21 Head Coach Noel King has included Saints Lee Desmond and Sean Hoare in a squad of home-based players to face an Amateur international team at the AUL Complex on Saturday, February 21 (1pm). The Saints' defenders are rewarded for showing promise in 2014, Sean breaking into the Saints' first team having stepped up from the U19's squad, while Desmond impressed while playing for Shelbourne last season and has hit the ground running with the Saints in pre-season. The pair were also called up by King to the Republic of Ireland's friendlies at the end of 2014, with both making their U21 international débuts against Russia. 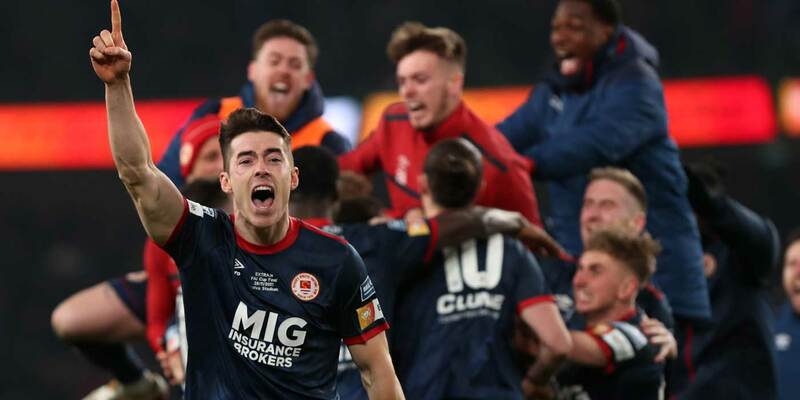 “For us, we are always looking for players capable of stepping up to U21 level so this game gives us an opportunity to work with many of the players we've seen with their clubs in the SSE Airtricity League," Republic of Ireland U21 Head Coach Noel King said.